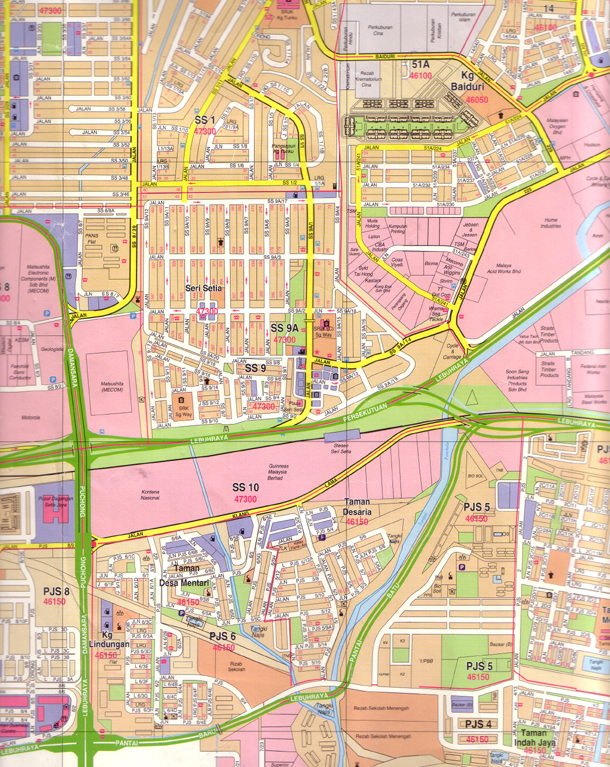 Sungai Way is situated in Petaling Jaya, Selangor. It is 12km long and 100% of the river has been concrete-channelised (therefore it looks like a drain). The river begins as two small, separate channels in the SS1 area and meets to converge into one main channel in SS9 just before it flows underneath the Federal Highway. The land is mostly flat and highly developed. Sungai Way 'services' all the immediate neighbourhoods in the area, draining and channeling all excess water into its channel. The river flows into Sungai Penchala near the PJS 5 Bandar Sunway area, and about 500m from there, Sungai Penchala flows into Sungai Klang. Read more about Sungai Penchala.